The Chou Chou Birdies Minidolls by Zapf Creation are the cutest little dolls you’ve ever seen! Each one of these adorable little characters comes with their very own baby birdie friend. 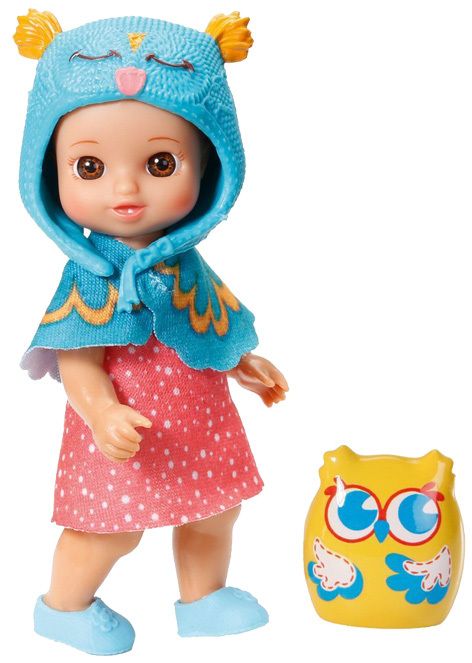 With twelve different characters to collect, little girls will have great fun changing the dolls colourful clothes and creating different sets of outfits. Lucy, Amy, Candy and Lily are just a few of the minidolls on offer. A Chou Chou Cuckoo Clock House completes the Birdies collection. 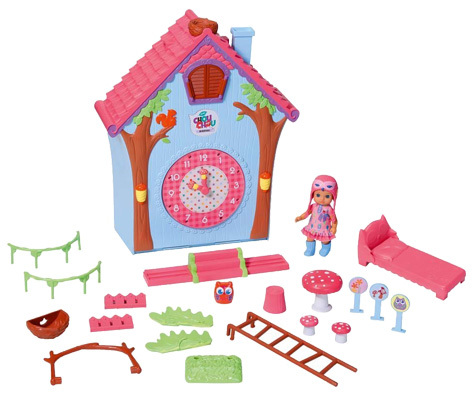 This substantial playset includes several pieces of furniture like a bed, table and chairs as well as clock that really tells the time. As soon as the clock strikes 10 at night, the little dolls can start their exciting journey to other magical worlds. A Birdie can be placed in a window in the eaves, and a press on the chimney opens the shutters to reveal it. Fans of Chou Chou are also likely to be excited by the Foxes Minidolls that accompany their Birdie friends. Featuring another range of characters like Beauty, Lucky, Gracy and Judy, the little Foxes models also look so adorable! Zapf have also created a series of story books that tell lots of adventures about each of the different dolls. Please tell us what you think of the Chou Chou Birdies Minidolls by Zapf Creation.